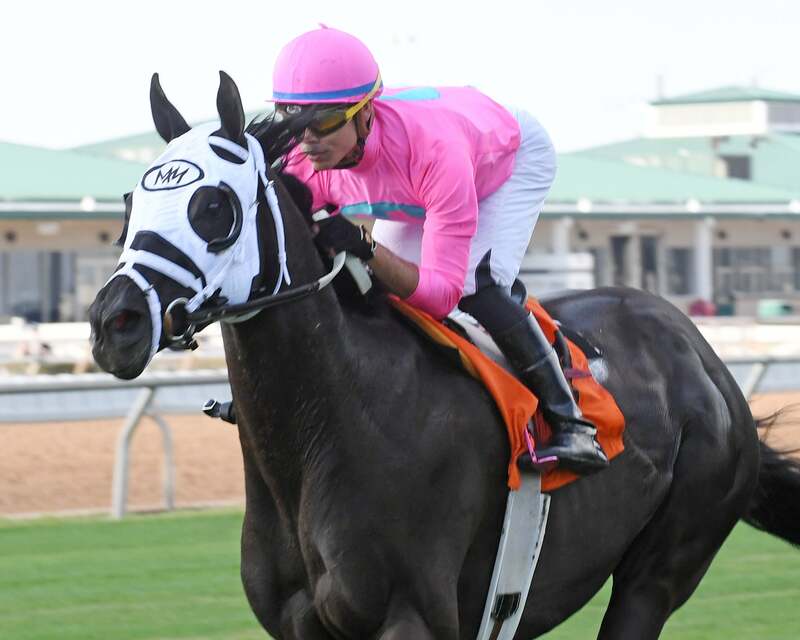 HOUSTON, TX – Millionaire Midnight Bisou will begin her 4-year-old campaign as the 3-5 favorite in Sunday’s Grade 3, $300,000 Houston Ladies Classic, the richest race of the Sam Houston Race Park Thoroughbred meet. 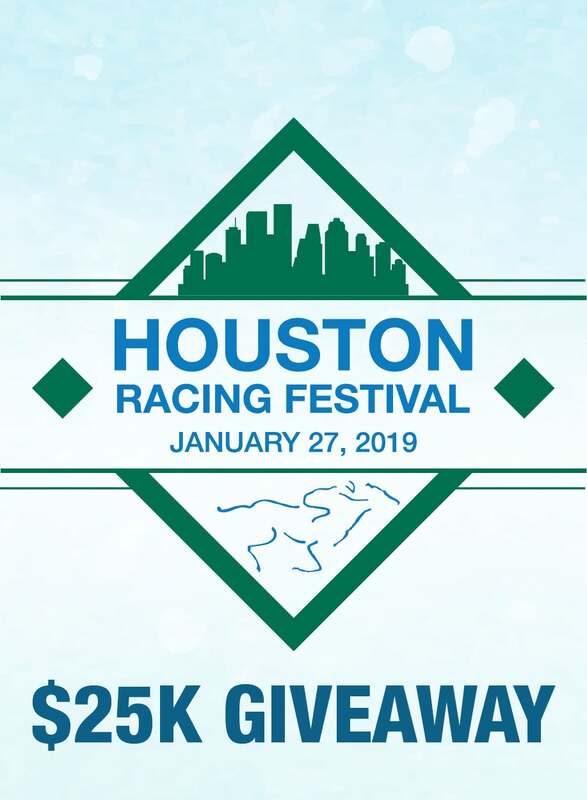 Post time is Sunday, January 27 at 1:15 pm (Central) for the Houston Racing Festival which also includes the Grade 3, $200,000 John B. Connally Turf Cup and four additional undercard stakes. Midnight Bisou is owned by Bloom Racing Stable, LLC, Madaket Stables LLC and Allen Racing, LLC. The daughter of Midnight Lute out of the Repent mare Diva Delight was bred in Kentucky by Woodford Thoroughbreds. She broke her maiden in her third career start, the Grade 2, Santa Ynez Stakes prior to winning the Santa Anita Oaks last April. Next was the Grade 1, Kentucky Oaks, where she rallied gamely to finish third. After two defeats to the heralded filly Monomoy Girl, Midnight Bisou faced her once again on September 22 at Parx in the Grade 1, Cotillion. She finished a neck behind the multiple-stakes winning filly, but was declared the winner after the stewards ruled there was interference. Her final race of 2018 was a third-place finish in the Grade 1, $2 million Breeders’ Cup Distaff at Churchill Downs. Midnight Bisou has been training at Fair Grounds under the watchful eye of Hall of Fame conditioner Steve Asmussen, who has won ten leading training titles in Houston in addition to his numerous national racing accomplishments. Bloom manages all the acquisitions for Bloom Racing Stable and shared his evaluation of Midnight Bisou, who he purchased for $80,000 at the 2017 OBS Spring Sale of 2-Year-Olds in Training. Midnight Bisou brings a career record of five wins from 11 starts and earnings of $1,565,000. She is a finalist for Eclipse Award champion 3-year-old filly, along with Monomoy Girl and Rushing Fall. The winners in 17 categories will be announced at the 48th annual Eclipse Awards dinner and ceremony, presented by Daily Racing Form, Breeders’ Cup and The Stronach Group on Thursday evening, January 24, at Gulfstream Park Racing & Casino in Hallandale Beach, Florida. Asmussen reports that Midnight Bisou will van to Houston mid-week and that Mike Smith will retain the mount and make his first trip to Sam Houston Race Park. Inducted into the Hall of Fame in 2003, Smith is the all-time leading Breeder’s Cup winning jockey and pilot of the legendary Zenyatta and 2018 Triple Crown winner, Justify. Remedy, a 4-year-old Creative Cause owned by Twin Creeks Racing Stables LLC and trained by Brad Cox, has been installed as the second choice at 3-1. The $200,000 Keeneland sale purchase made her debut at the Keeneland September sale before breaking her maiden at Fair Grounds. Cox shipped her to Remington Park where she ran second in the Grade 3, Remington Park Oaks. The Kentucky-bred filly overcame a troubled start to finish second in the Grade 3, Comely Stakes on November 23. 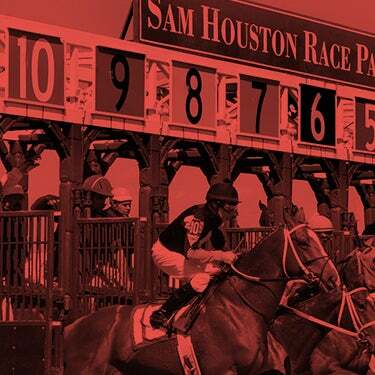 Davison had very good fortune a few years ago at Sam Houston Race Park when his homebred Red Rifle won the 2014 Maxxam Gold Cup. The chestnut gelding went on to win five additional stakes. He earned $1,022,350 in 37 career starts and is now retired at Twin Creeks Farm. “Sam Houston Race Park has been pretty good for us,” added Davison. Cox won the 2018 Houston Ladies Classic with Tiger Moth as has given the mount to Joe Bravo. Prado’s Sweet Ride, owned by Darrell and Sadie Brommer , will van in from her Fair Grounds base for trainer Gary Scherer. The 7-year-old mare, sired by Fort Prado, is a multiple stakes winner who has earned $550,414 in 31 starts. Jockey Florent Geroux, who won last year’s Houston Ladies Classic, has the call. 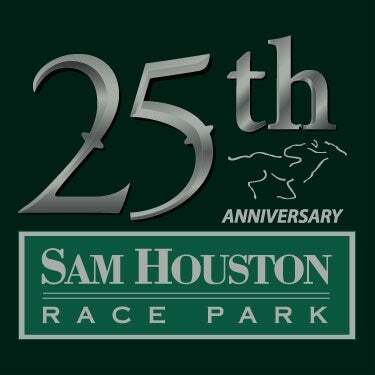 "We thank the many horsemen who have supported the Houston Racing Festival each year and look forward to presenting an excellent card, with full fields on Sunday afternoon," said Matt Crawford, Sam Houston Race Park's racing secretary. The Grade 3, $200,000 John B. Connally Turf Cup, to be run at the distance of one and one-half miles, attracted a field of nine, including two-time champion Bigger Picture. Owned by Three Diamonds Farm, he will attempt to be the second turf specialist in Connally history to win three times. That feat was accomplished by Glen Warren’s Candid Glen, who was victorious in 2001, 2002 and 2003. Bigger Picture, an 8-year-old son of Badge of Silver, bred in Kentucky by Kenneth and Sarah Ramsey, will make his 38th career start on January 27. His 11 lifetime wins include five graded stakes. He eclipsed the $1 million earnings mark winning last year’s Connally Turf Cup, and has amassed $1,374,135 since making his debut in 2013. The chestnut gelding made his last start at Del Mar, running second in the Grade 2, Hollywood Turf Cup. His trainer, Michael Maker was pleased with the January 12 work by Bigger Picture at Palm Meadows in Florida, where he covered five furlongs in 1.02.80. “He’s doing great; ready to go,” said Maker of Bigger Picture. Jose Ortiz, his winning pilot in both Connally victories, will guide the 4-5 morning line choice from post position four. Maker and Three Diamonds Farm will also run Markitoff, a 5-year-old son of Giant’s Causeway, who will be ridden by Mike Smith. The Kentucky-bred competed in two of the premier turf stakes last year at Woodbine, finishing fourth in the Grade 1, Northern Dancer. Maker has won six of the last seven editions of the Connally with Papa Bodie in 2012; Admiral Kitten in 2014; Coalport in 2015; Da Big Hoss as well as the last two years with Bigger Picture. Some In Tieme (BRZ), runner-up in last year’s edition of the Connally, returns for trainer Efren Loza, Jr. The 7-year-old son of Shirocco has earned $470,468 in 19 lifetime starts. He exits a fifth-place finish in the Grade 3, Sycamore Stakes last October at Keeneland. Team Colors, a 7-year-old son of Street Cry (IRE), was claimed last summer at Saratoga by owner Brad Grady. He will make his 28th career start for trainer Joe Sharp with Adam Beschizza making his Sam Houston debut. Trainer Tom Morley ships in 9-year-old Cooptado (ARG), who has earned $1.1 million in 44 starts. He will break from the far outside post under jockey Gabriel Saez. 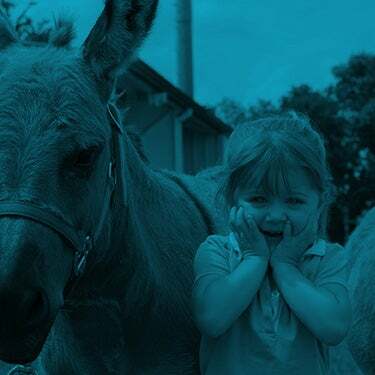 The Connally Turf Cup was awarded Grade 3 status in 2006 and will run as the eighth race of the card, with an approximate post time of 5:15 pm (Central). Owned by Michael M Hui and trained by Maker, the 10-year-old son of Offlee Wild has won 19 of his 53 starts and will reunite with Jose Ortiz on Sunday. The Kentucky-bred was a fast-closing second in the 2017 edition of the race, winning in a driving finish last year in a swift clocking of :59.20 last January. Hui claimed Hogy in 2017 for $80,000, but has been well-rewarded by the efforts of the intrepid turf sprinter. 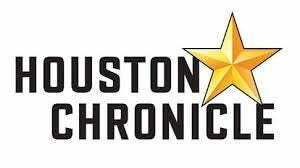 The contenders in the Stonerside Sprint include William S. Farish’s homebred Direct Dial, winner of four career starts, including the $65,000 Texas Stallion Stakes last February at Sam Houston. The son of Too Much Bling is trained by Steve Asmussen and will be ridden by Hall of Fame jockey Mike Smith. The high earner in the field is Leadem In Ken, a 9-year-old Sky Mesa gelding who has bankrolled $415,203 in his 39 career starts. Trainer Joseph Smith will give a leg up to rider Danny Sorenson. The Kentucky-bred gelding is owned by Tyree Jacqueline Wolesensky and will be making his Sam Houston debut. Also shipping to Houston for the first time is Nine Thirty Racing LLC’s Driven By History. The 4-year-old son of Two Step Salsa is stakes-placed for conditioner Tom Amoss and will be ridden by Louisiana-based jockey Gerard Melancon. Trainer Mike Maker sends in two accomplished turf mares for the $50,000 Jersey Lilly Stakes, a mile and-one-sixteenth feature that will run as the finale on the Houston Racing Festival Card. Calumet Farm’s Susie Bee, will make her third attempt to win the Jersey Lilly. The regally bred daughter of English Channel was a runner-up last year and makes her 35th career start Sunday under Jose Ortiz. The striking gray 7-year-old mare is approaching the $400,000 earnings mark with four stakes wins at Gulfstream Park on her resume’. Maker’s second entrant is Majestic Angel, a 6-year-old mare by Majestic Warrior, owned by Three Diamonds Farm. Jockey Iram Diego has the call aboard the Kentucky-bred mare, who competed in last year’s Houston Distaff Stakes and won a one mile main track allowance here last March. Another Bond Girl returns to Sam Houston Race Park for trainer M. Brent Davidson. The Oklahoma-bred mare has won $312,327 in her 40 career efforts. Freddy Manrrique has the call aboard the daughter of Don’t Get Mad. Several prospects will make their first foray to Sam Houston Race Park, including Terra’s Angel, winner of the 2017 Del Mar Juvenile Fillies Turf for owners Johnny B Evans and Terry Eoff; Woodbine invader Silhouette, who ships in for trainer Neil Pessin and Brereton Jones’ homebred Hey Nikki, who will be ridden by Mike Smith.